Anglophone crisis: Bullet from army-Ambazonia fight kill Fada for Bomaka? Catholic church and Cameroon di craiy Fada Alexandre Sob Nougi priest for Bomaka -Buea for Southwest region. "Na with big-big pain for heart and sadness weh we di announce die for Alexandre Sob Nougi weh deh shoot'am for July 20 for Muyuka. Before e die, e be bi parish priest for Sacred Heart Parish Bomaka, Buea." Rev. 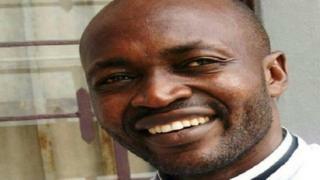 Fr Asek Bernard Vicar General for Buea Dioces sign de announcement. Tori na say Fada go visit e mami for Muyuka and na for there dey shoot e but no man fit tok if na army or Ambazonia fighters kill e even as activists say na army. Anglophone Crisis: Na fight or deh fool pipo kill dem for Santa? Na so all man di craiy say dis fada be na pesin weh e bi good sotei di do e work correct and laik God want'am. RIP dear father and classmate. Shot and killed today Friday in Muyuka. The bullets on your chest will redeem us. Dis kana shooting for Fada di kam afta de bin don kill wan Ghana pastor for Batibo for Northwest region and deh di even search Fada for Okoyong e house arrest pipo dem. Dis wan no be de only shooting for de pass days, as dey kill police for Wum for Northwest region cut e head, kill Felix Tantoh owner for Buea. Na two years now Anglophone crisis start as lawyers and teacher strike, plenti pipo don die and just now population dey for middle as army and Ambazonia fighters di exchange fire almost every day and fear dey all side.